 Are you looking for professional removal services in North West London? 1st A Removals offers a great service for removals, storage and clearance. We also deal with efficient and safe transportation of pianos and other equipment across Pinner, Harrow and North West London. 1st A Removals is here to help you with affordable piano transportation across London, Middlesex and Hertfordshire. Our skilled team will handle your piano with extreme care and ensure it is completely protected. Moving a piano is no easy job. It involves the use of appropriate moving tools and a highly skilled team. If you are looking to transport your piano in the London, Middlesex and Hertfordshire areas, call 1st A Removals. We offer a complete range of professional services to move your piano, ensuring it reaches its destination safely and in perfect condition. All our staff are highly skilled and will handle your piano with the utmost care. When you are looking to store your belongings, you can ensure that your items are stored safely at an appropriate facility. You can count on 1st A Removals to provide a secure storage facility for all your belongings and equipment. In addition to storage, we can also ensure removal boxes and all your packing needs are also met. Whether you need to clear a shop, yard, or office, we have the logistics and manpower to get the job done fast, and for a low price. Call us for a free no-obligation quote across London, Middlesex and Hertfordshire. Great ! Local and reliable. Would highly recommend. Approached this company to clear out and dispose of furniture and carpets left in a family members flat. Supervisor turned up a week or so before, and said £83 an hour. Turned up on the day of the job and was at the flat less than an hour. Came to settle up, and wanted £270. Half an hour to get to the job, an hour at the job, half an hour to get to the tip, another half an hour getting the Lorry weighed and then another half hour unloading. If he'd have explained this to us when he first came, we might have had second thoughts, but we innocently enough thought we would have to pay for the time he was at the flat and that was it. As if this wasn't bad enough, we saw him offloading furniture to people in the car park. Failed to properly explain his full set of charges therefore lulling us into a false sense of security. AVOID.